Make yourself at home in one of the 26 air-conditioned rooms featuring minibars. Complimentary wireless Internet access keeps you connected, and digital programming is available for your entertainment. Private bathrooms with showers feature rainfall showerheads and complimentary toiletries. Conveniences include safes and desks, and housekeeping is provided daily. 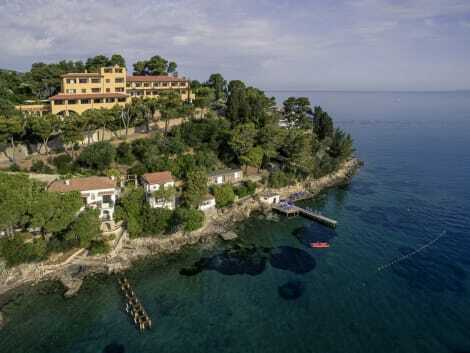 Located on the beautiful Monte Argentario promontory, the Mercure Argentario Hotel Filippo enjoys an exclusive location and stunning panoramic views over the beautiful landscape. Immersed in luxuriant natural surroundings, the hotel is the ideal solution for those looking for a stay of pure relaxation and comfort. The spacious, comfortable apartments and intimate, elegant suites guarantee a truly magical experience for guests throughout their stay. lastminute.com has a fantastic range of hotels in Monte Argentario, with everything from cheap hotels to luxurious five star accommodation available. We like to live up to our last minute name so remember you can book any one of our excellent Monte Argentario hotels up until midnight and stay the same night.